← Fish Farms at Seletar West Farmways to be Relocated? This year, Singapore’s leading media company MediaCorp is celebrating 75 years of broadcasting of Radio since 1936 (and subsequently the launch of Television on 15th February 1963). 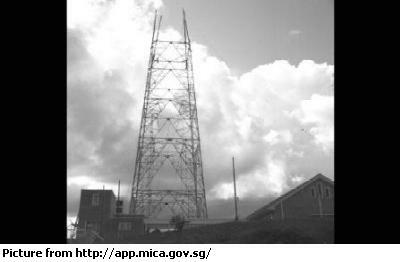 Radio Singapura, the first radio service in Singapore, was launched on 1st June 1936. During World War II, the service was forced to close down as all radio frequencies were under tight control. Radio broadcasting was resumed after the war and on 9th August 1965, the new independent government of Singapore took over the control of state-owned radio and formed a new body known as Radio Television Singapore (RTS), managing both the radio and television operations. Another player in broadcasting came into prominence in 1949 when the crystal-clear sound of cable radio Rediffusion, first began in London in the thirties, attracted thousands of subscribers in Singapore. Their air-conditioned building and studio, a rarity during that era, was located at Tank Road and a $5 monthly subscription was offered to the public with programs spoken in English, Malay, six Chinese dialects and some Indian dialects. Storytelling in Chinese dialects was a hit in the fifties and sixties, with the likes of Lee Dai Sor 李大傻 (Cantonese), Ng Chia Kheng 黄正经 (Teochew) and Ong Toh 王道 (Hokkien) became legendary master storytellers in martial arts, ghosts, mysteries and Chinese classics. By the late seventies, Rediffusion enjoyed more than 90,000 subscribers. Lee Dai Sor (1913 – 1989) was perhaps the most famous of the trio. His real name was Lee Fook Hong and was born in Telok Blangah in a family of eight siblings. 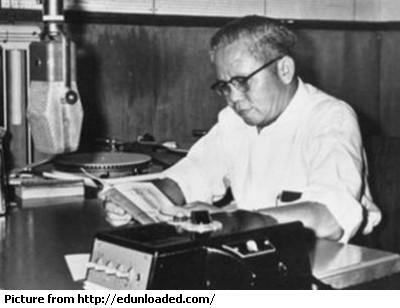 Lee took on various jobs before becoming a storyteller at Radio Television Malaya (RTM) in 1938, and later at Rediffusion. Well-known throughout Singapore and Malaysia, the mid-sixties represented the peak of Lee Dai Sor’s radio career. The public housing boom in Singapore in the late sixties affected broadcasting as the high-rise flats caused interference on the AM (Amplitude Modulation) radio receptions. Thus in 1967, RTS introduced four FM (Frequency Modulation) radio stations that was able to reach two million citizens in the country. 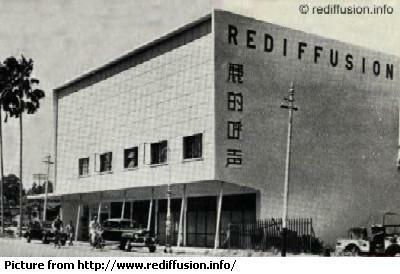 Rediffusion groomed many local talents in the entertainment industry in the seventies. Two prominent artistes come to mind are Xiang Yun, who had worked at the radio station as a child artiste, and Chinese-Dutch deejay Mark van Cuylenberg (The Flying Dutchman). With the Speak Mandarin Campaign launched in 1979, all dialect programs on Rediffusion were halted three years later. 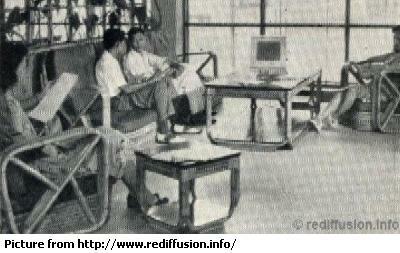 Also losing share in the Singapore market, Rediffusion went into a spiral of decline and did not recover even till this day. The Singapore government gave autonomy to broadcasting in 1980 as RTS was reorganised to become a statutory board known as Singapore Broadcasting Corporation (SBC). SBC lasted until 1994 when the company was privatised into Radio Corporation of Singapore (RCS) and Television Corporation of Singapore (TCS). 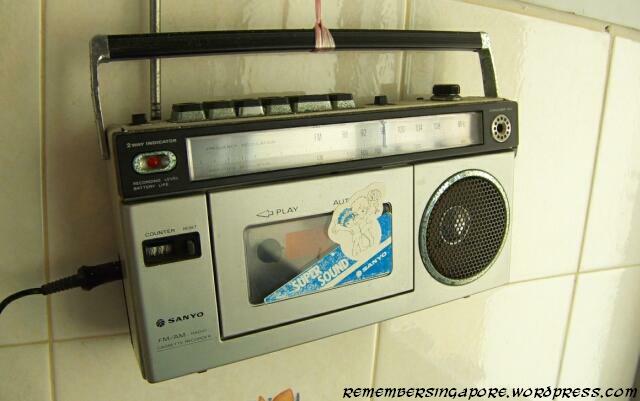 RCS was then dissolved in 2002 and restructured as MediaCorp Radio. Today, local free-to-air and cable radio broadcasting faces immerse competition from the expanding influence of internet radios and personal digit music. But the spirit of radio will never be diminished. This entry was posted in Nostalgic and tagged Cantonese Dialect, Hokkien Dialect, Lee Dai Sor, Mediacorp Radio, Ng Chia Kheng, Ong Toh, Radio Television Singapura, Rediffusion, Teochew Dialect. Bookmark the permalink. I wonder if anyone knows the original frequencies they used on the AM bands. I still have the oldschool wooden Rediffusion in my house, my mum listen to Rediffusion everyday. Mediacorp on Monday (Jul 17) said it will discontinue transmission of Lush 99.5FM from Sep 1 as part of a rationalisation of its network of radio stations. Lush began in 2004 and was positioned as an indie music station. It gradually built a niche following but the station’s audience has steadily declined over the years to about 50,000 weekly at present, Mediacorp said in a statement. And despite efforts to increase the number of listeners, the station has consistently garnered the lowest audience among the company’s radio stations. Lush listeners are increasingly being served online and on alternative platforms. Mediacorp said it has decided to focus on growing overall listenership by consolidating its resources and efforts on its five other English stations. At the same time, it will incorporate key elements of Lush’s unique brand of entertainment in the mix of content featured on those stations, it said. New programming plans and a renewed line-up will be announced later this year. “This will continue despite the closure of Lush. In fact, local content will be given strong prominence in Mediacorp’s new Singapore Sounds initiative which will be launched on 987 – which will feature home-grown artistes and mainstream local music – and on 938LIVE, which will feature independent artists. Mediacorp said “it is grateful to all listeners who have supported Lush 99.5FM through the years”.